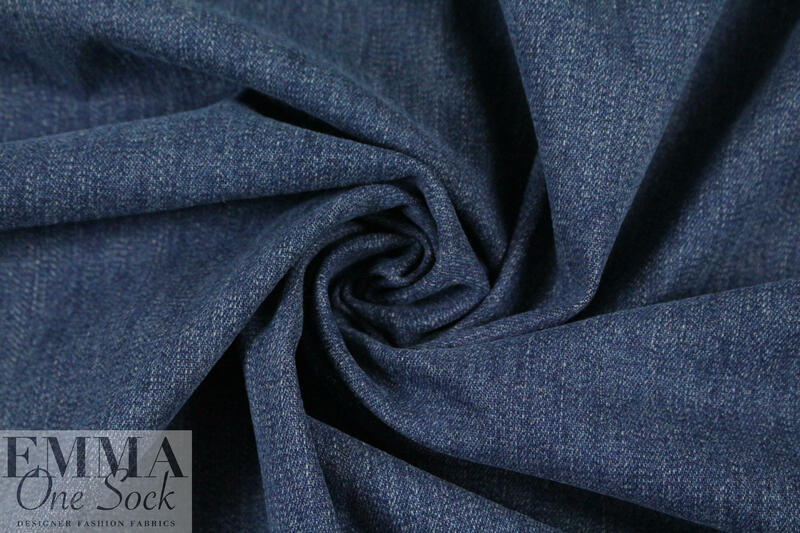 This is a wonderful Italian enzyme wash stretch denim, a reversible denim with a mix of indigo and beige (PANTONE 19-4025, 12-0911, each mixed with the other). 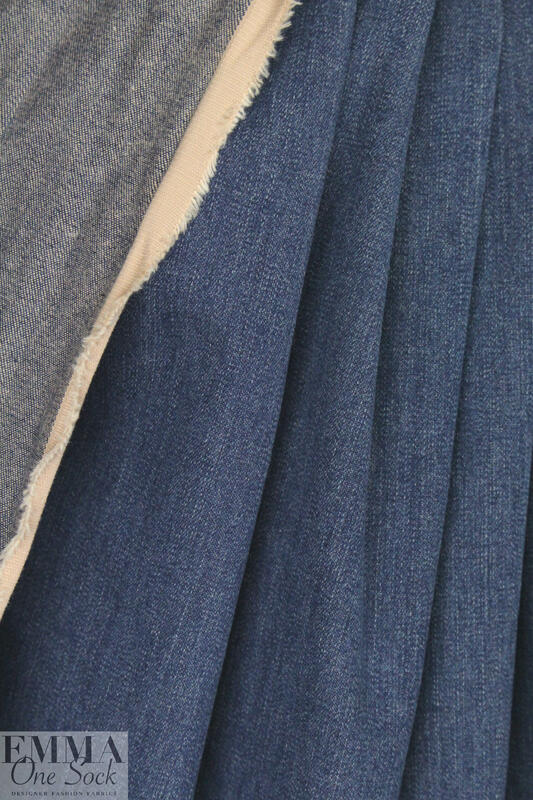 To quote from the Tellason denim dictionary: "Enzyme wash is a process that gives denim a softer and worn-in look by breaking down the cellulose molecules naturally found in indigo dyes. Enzyme washing is also more ecologically friendly due to the natural origins of enzymes, which biodegrade rather than linger in the water supply." 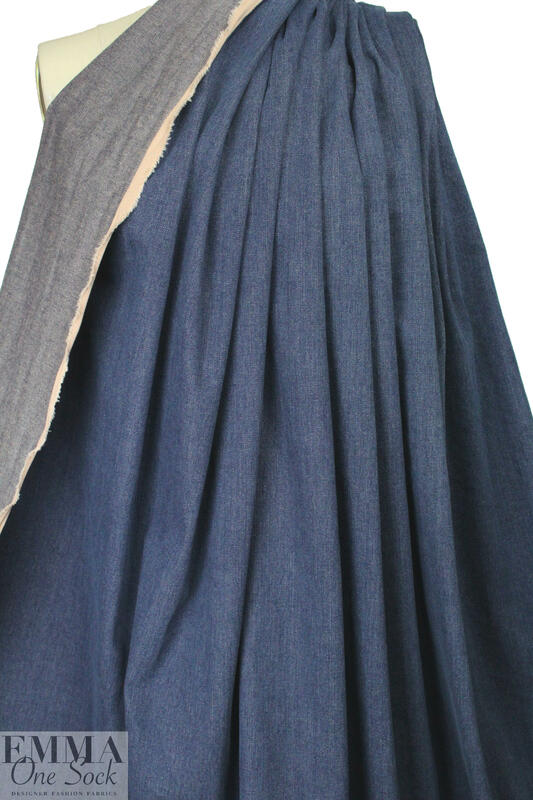 It is a medium-weight denim with body in the drape and about 20% stretch in the width only, gorgeous quality and true to the above description. Perfect for jeans, jacket, skirt, vest, etc. Pre-wash as you will want to wash your garment, and please test first.